Bright white LED bulb ring light kit for microscopes. 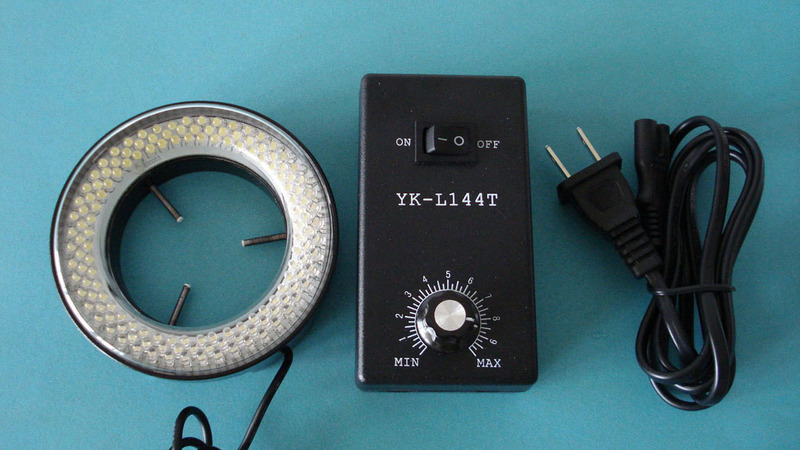 The lylight kit includes led ring light with 2-3/8" (60mm) inner diameter, a 110-240v power adapter. With variable intensity control, it provides cool, even, intense and focused shadow-free illumination. It is an ideal durable cool light source for microscopes. intense and focused shadow-free illumination, variable intensity control.